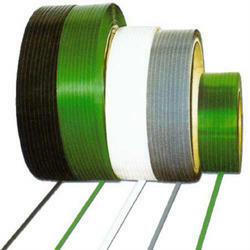 Leading Manufacturer of polyester strap and cord strap from Ahmedabad. Owing to a long-term destination for our business, we are engaged in offering a wide gamut of Polyester Strap. 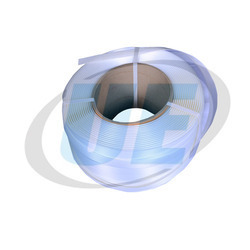 The offered strap is a highly engineered polyester strapping material that combines the performance properties of both steel and plastic strapping to form a stronger, more resilient strapping material. Since its introduction in 1990, high-strength strap has become a viable alternative for steel strapping in many heavy-duty baling, bundling, palletizing and unitizing applications. Its elongation and recovery characteristics help straps stay tight and absorb impacts without breaking. Cord Strap options offered provides for superior finish strength.